Another quick sketch based on a scene from "Sisterhooves Social." 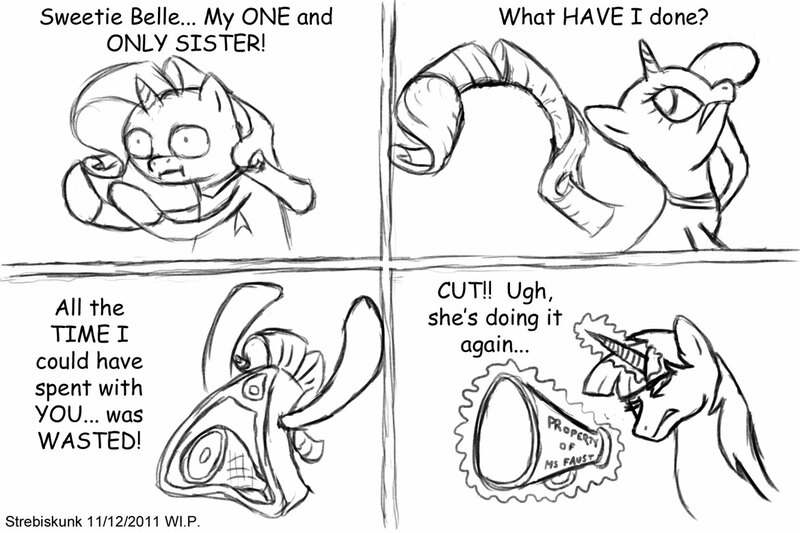 Rarity has indeed gone full Shatner. lol I nearly died with laughter . Yo dawg, we heard you like ham, so we put a ham in your ham so your can overact while you SPOOOOCK! Rarity really did 'ham it up' in that scene.